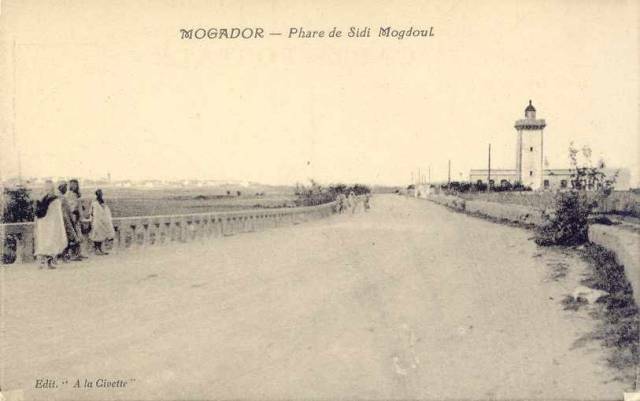 The lighthouse of Sidi Mogdoul (Magdoul)started its service in 1916. 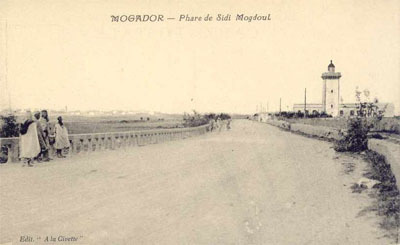 (Built in 1903 ? ) 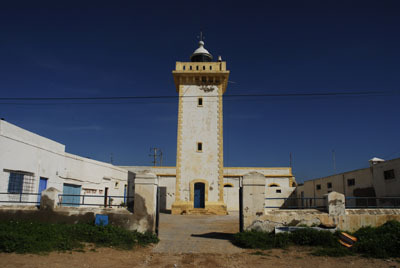 It is still giving active aid to navigation for ships entering the the port of Essaouira. 11 (red) and 9 (green) nautical miles. Tower painted white with gold trim. 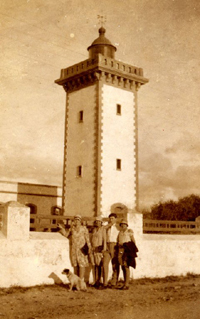 Three white flashes every 15 s.
20 m (66 ft) square stone tower with lantern and gallery, rising in the center of a fort. 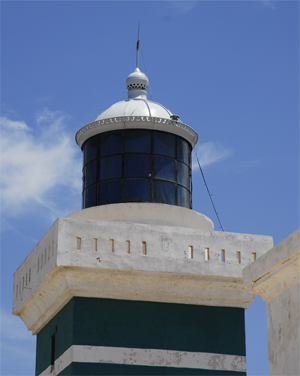 Lighthouse painted green with narrow white horizontal bands. 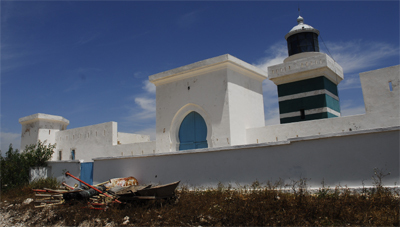 Located on a cape about 20 km (13 miles) south of Essaouira.